Well i was back on the winter league trail and today it was round four due to take place on boulders+goose i just hopped that i could improve on my recent matches, as i seemed to be stuck in the fourth place position in my last three contests which was no doubt down to making the wrong decisions during them meaning i was missing out by the odd pound here+there . It seems the weather was staying a lot warmer than we are used to at this time of year as we are constantly hitting double figures but the down side of it meant we was getting a lot of wind+rain plus the occasional back-end of a hurricane hitting our shores just like we had to contend with this weekend but at least it was forecast to be a better day than on Saturday . Just as i had finished packing the car and started on my thirty mile journey to Old Hough the heavens opened it was pretty constant rain all the way there but at least it wasn’t as windy as the weatherman had predicted , in fact boulders lake was almost flat calm benefiting from the protection of the trees and this is where i fancied drawing because i had heard it has a nice head of f1s my style of fishing . When the draw was about to start the rain finally eased and it looked like we could be in for a nice days fishing but it turned out to be the calm before the storm , as usual in these matches i hung around towards the rear of the scrum for a dip in the magic hat and when it came for my turn i pulled out peg fourteen on boulders not the best of areas although it looked alright to me with it being 14m wide with a few lily pads to my right and a reed lined far-bank plus i was on the lake i wanted to be on . Margin at the side of the pads were i was surprised to find nearly four-foot as i expected this swim to produce more carp i used a 4×12 malman roob with 014 garbo main line an 012 garbo hook length as i was going to be mainly feeding corn i had a size 16 guru lwg hook and my elastic was size 12 matrix hollo . Channel this was plumbed up at ten o’clock and two o’clock so that i could try different feeding patterns as it was just over five foot i used a 4×14 drennon A3 float which had a carbon stem this would allow me to lay my rig in through the water in various ways, i expected to catch more ide+f1s here so i used 012 garbo main line and an 010 garbo six-inch hook length with a bulk plus two droppers shotting pattern my hook was a size 18 matrix silverfish pattern the elastic was Nick Gilbert 8-10 green . Far-bank with all the recent heavy rain going in i didn’t want to set this rig into shallow a depth so started at 4ft with the view i could always go shallower if i needed to during the session , my float was 4×12 malman roob with 014 garbo to an 3 inch 010 garbo hook length which had a size 18 matrix bagger hook attached . 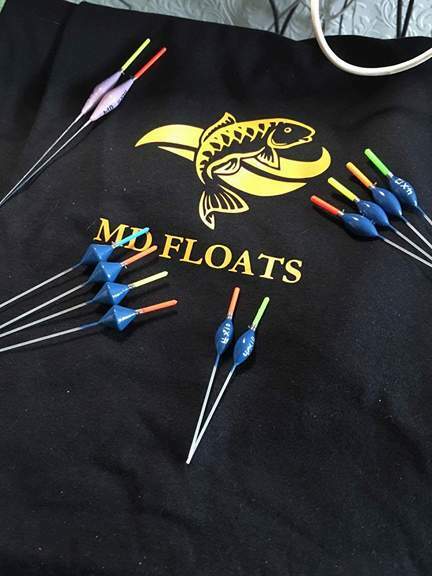 As the all in sounded i tapped in twenty maggots onto my right hand channel swim before going across to the far-bank where i began using pellets and i fed the swim through a small kinder pot every five minutes , it took only a few feeds before i began getting indications and not long after i had my first fish which was an 8oz crucian a couple more soon followed before the swim went quiet a change of hook bait to a white 4mm pellet produced my biggest fish of the day a nice 4lb mirror carp .Just as i felt i could be on for a few fish the wind and rain reared its ugly head this prevented me from going back across as my pole kept getting ripped out of my hands , i had been loose feeding a dozen maggots onto my top three-line since the match started so with just an hour into the contest i had no option but to give there a whirl and i had an ide almost instantly but it looked like it was a loner because bites were extremely hard to get after that fish . A change to my right hand channel swim got me back among the ide again and although it wasn’t hectic i was happy putting the odd fish in the net which helped keep me in touch with all those anglers within eye shot as it was fishing a lot harder than we all imagined , the bites began to tail off so i feed a negative line towards my left on my first drop i had a 10oz skimmer as soon as my float settled but nothing else followed so i chopped and changed between the two channel swims feeding one line then fishing the other this kept me ticking over but i really needed to fish across to be within a chance of picking up another carp , I had trickled in a few grains of corn onto my left hand margin at the side of the lily pads since the all in but after sporadically trying there during the match i failed to gain a single indication which was a bit strange . With just ninety minutes of the match remaining the weather finally took a turn for the better the wind+rain stopped and there was even a touch of blue sky in the distance , i took this opportunity to go back across but after twenty minutes of fishing pellets all i could pick up were small skimmers not exactly what i thought would happen , i noticed the lad to my right catch a couple of ide going really tight to the far-bank i didn’t have the luxury of doing this as i had a few dead lily pads directly in front of me but i could still go a bit further up the shelf so stuck another section on and re-plumbed up and even at 14m it was a touch over 3ft i also chose to fish maggots as this would also give me the opportunity of picking up some ide as well . A few feeds with the kinder pot every five minutes and i was back into the fish again more silvers than before but i was just happy catching a few fish then suddenly it died on me but i didn’t have to wait long to find the reason as my elastic got ripped out of my pole , after a short fight i had a carp in the net another quickly followed of similar size before i pulled out of a bigger one this unsettled my swim and it took awhile for me to begin getting bites again when i did they were from the ide again i just knew that carp would cost me as the all out sounded calling time on another rather confusing match and i am struggling to get my head around this silver fishing lark . 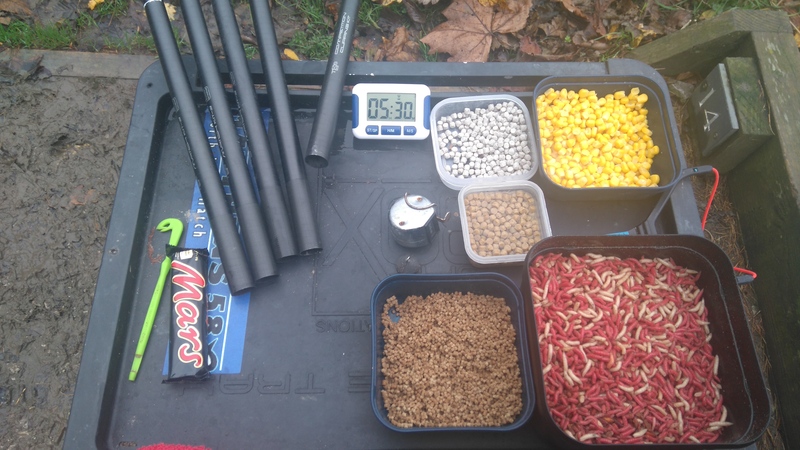 As the weigh in began on peg one he put 19lb on the scales , peg six had 15lb , then i had 14lb and peg twenty had 18lb so yet again i finished fourth and as i thought that lost carp cost me a higher finishing position . 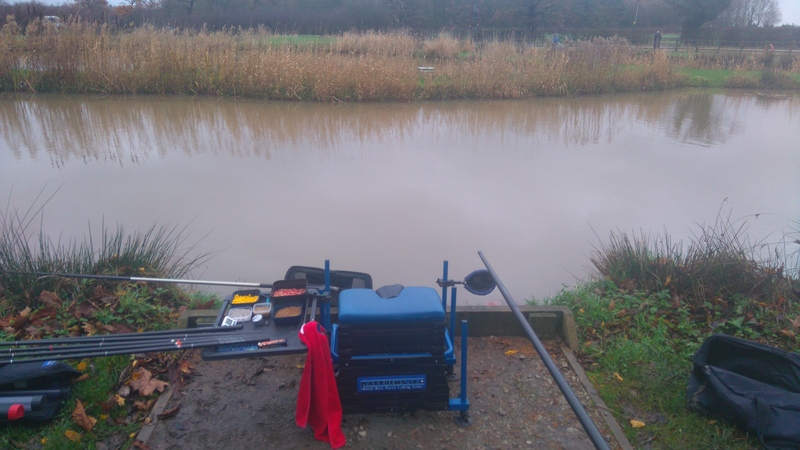 For a change goose lake fished a lot better with peg five winning with an all net of ide totalling 35lb , then peg 18 had 24lb all carp and peg 16 third with 18lb another all ide net . Having a week of from the winter league and next sunday i will be standing in for my mate on the teams of four match at horns dam which should be interesting as not only have i never seen the canal pool i will be fishing on but i haven’t even been to the fishery , so lots of internet searching going on during the week to try to find an edge and midering of my Facebook friends but im really looking forward to competing against the best anglers in the Preston area especially the ted carter lads . 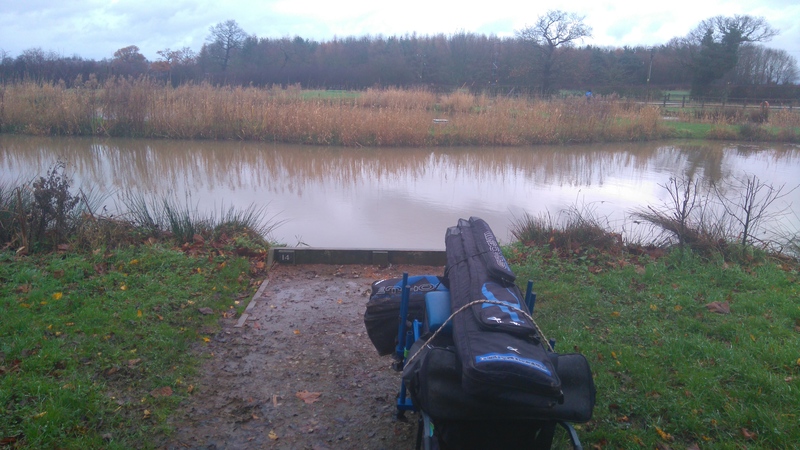 This entry was posted in old hough, Old hough fishery, old hough winter league, old hough winter league 2016 and tagged Boulders lake, Carp, Coarse fishing, Common carp, Common roach, Fish, Fishing bait, garbo line, Goose lake, Lake, Maggot, malman roob, matrix 10 elastic, matrix bagger hook, matthews580, Mirror carp, Old hough fishery, orange matrix elastic, Outdoors, Recreation, silver fish fishing, white expanders. Bookmark the permalink.